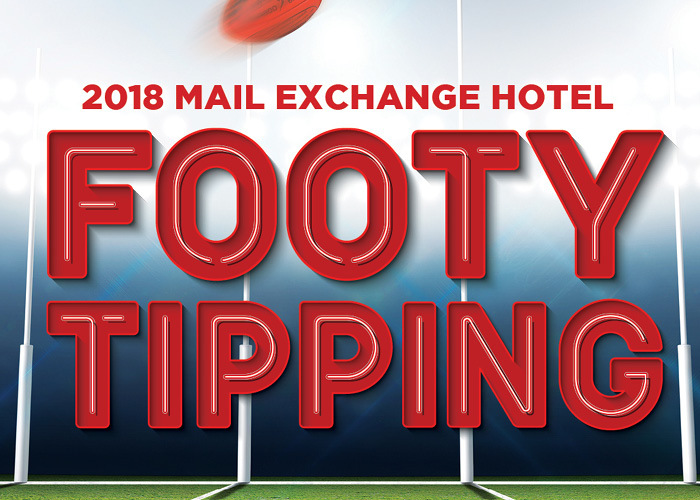 Annual Footy Tipping Competition at the Mail Exchange Hotel. $30 TO ENTER, SWIPE, TIP & WIN! To redeem your free drink after placing your tips you must present the ticket issued by the kiosk to the staff behind the bar. Only one drink per week can be redeemed and the offer will expire before the start of the next weeks round. The member’s beverage offer may change and will be determined by the hotel.